SNP MSP Stewart Stevenson has written to the UK Government’s Energy Secretary to urge a re-think on the UK Government’s unfair transmission charges and to demand a ‘level playing field’ for power stations in Scotland – after further expert evidence given in the Scottish Parliament this week. Mr Stevenson – whose constituency includes Peterhead power station – wrote to Amber Rudd in the aftermath of evidence given to the Parliament’s Economy, Energy and Tourism Committee by Professor Karen Turner from the Centre for Energy Policy at the University of Strathclyde. Professor Turner’s evidence made clear that the current transmission charging regime is “the main obstacle in terms of securing energy supply” in Scotland – and is one of the reasons behind the premature closure of the Longannet power station. Professor Turner also pointed out that Peterhead power station is currently operating under capacity because “it’s not economical for it to operate at full capacity”. “It’s abundantly clear that the UK Government’s unfair transmission charging regime is causing real damage to our energy sector – threatening security of supply, holding back the potential of our power stations and putting jobs at risk. “It is simply not right that a power station in Scotland can face crippling transmission charges when an identical power station in the south of England would actually be subsidised – and experts like Professor Turner have made clear the serious impact this is having in Scotland. “The security of our future electricity supply and the jobs of the many hard-working people in the sector must not be put at risk by the continuation of this unfair, indefensible practice. Stewart Stevenson, SNP MSP for Banffshire & Buchan Coast, is highlighting new figures published this week which show the Scottish Government’s decisive action to mitigate against Westminster’s unfair Bedroom Tax in Aberdeenshire and Moray. The Discretionary Housing Payments in Scotland figures show that a total of £922,274 was distributed in Aberdeenshire and a total of £437,922 in Moray – helping local people affected by the Tories’ Bedroom Tax. “The Scottish Government has used every power at its disposal to limit the damage caused by the Tory government’s welfare cuts – providing real support to some of the poorest and most vulnerable people in Aberdeenshire and Moray. “Discretionary Housing Payments provide a real lifeline for the 70,000 households in Scotland affected Westminster’s Bedroom Tax– and these figures are a welcome reminder of the real help the SNP is providing in government to mitigate against this unfair policy." “It is absolutely ridiculous that the Scottish Government finds itself in the position of having to spend scarce resources on mitigating against an unfair attack on the poor which Scotland’s people have comprehensively rejected. 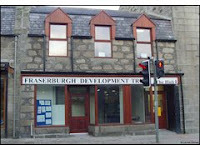 Stewart Stevenson, SNP MSP for Banffshire & Buchan Coast, has welcomed a boost in funding from the Scottish Government for Fraserburgh Development Trust and Peterhead Projects as part of the Strengthening Communities Programme. The Scottish Government announced an additional investment of more than £600,000 for community projects across Scotland – including new funding for the Fraserburgh and Peterhead groups. “This is a very welcome funding boost for Fraserburgh Development Trust and Peterhead Projects which both do fantastic work in the community – and confirms the commitment of the SNP in government to empowering communities across the country. “This new funding from the Scottish Government is designed to help our communities deliver economic and regeneration benefits to the local area – from local job creation to renewable energy generation – and I warmly congratulate Fraserburgh Development Trust and Peterhead Projects on their success. “This investment shows exactly what we want our Community Empowerment (Scotland) Bill to achieve when it is introduced in the near future, giving people in Scotland’s communities the tools they need to shape the future of their local areas. The additional cash boost is designed to build the capacity of local community organisations which deliver economic and regeneration benefits to their areas by refurbishing disused buildings, developing renewable energy projects and creating jobs opportunities. A new Bill to increase the transparency of MSPs’ financial interests has been introduced by Stewart Stevenson MSP, on behalf of the Scottish Parliament’s Standards, Procedures and Public Appointments Committee. 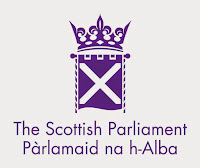 Published today (28 May), the Interests of Members of the Scottish Parliament (Amendment) Bill is the first Committee Bill this session and follows a detailed inquiry where the Committee made a number of recommendations to streamline the reporting process for MSPs’ financial interests as well as widening the rules on paid advocacy. Following Parliament’s agreement, the Committee has now introduced a Bill to make these changes happen. “The need for a robust and rigorous regime for members registering financial interests is clear. The public need to know about a member’s financial interests so they can judge whether the member might be influenced. Lowering the threshold for registering gifts to 0.5% of a member’s salary. Ending ‘dual reporting’ which saw financial interests reported to the Scottish Parliament and the Electoral Commission. Amending the definition of paid advocacy so that agreeing to receive inducements as well as actually receiving them would be an offence. Introduction of a new sanction for members in breach – a motion of censure. The Bill and accompanying documents can be read here. Stewart Stevenson, SNP MSP for Banffshire & Buchan Coast, will speak against the Assisted Suicide (Scotland) Bill when it is debated in the Scottish Parliament today (Wednesday). 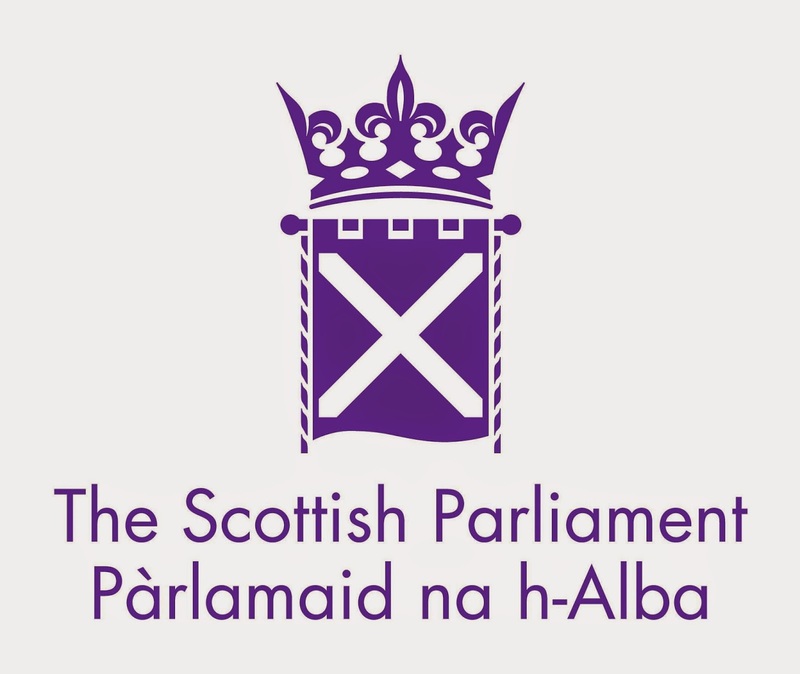 The Bill, originally brought forward by the late Margo McDonald MSP and now promoted by Patrick Harvie MSP, seeks to create a framework in which those with a life-threatening or life-limiting condition can obtain help in ending their lives, and that those providing that assistance can be protected from prosecution. “Coming from a medical family, I am well aware of the emotional and physical trauma generally associated with the death of a relative or friend. “Above all as the Hippocratic Oath has stated, doctors can 'neither give a deadly drug to anyone if asked for it, nor make a suggestion to this effect'. Stewart Stevenson, SNP MSP for Banffshire & Buchan Coast, has promoted National Epilepsy Week (17-23 May) in the Scottish Parliament by signing the published revised SIGN national guideline on managing epilepsy in adults. “Studies show that while just over half of people with epilepsy have seizure control, seven in ten could become seizure free with optimum care. 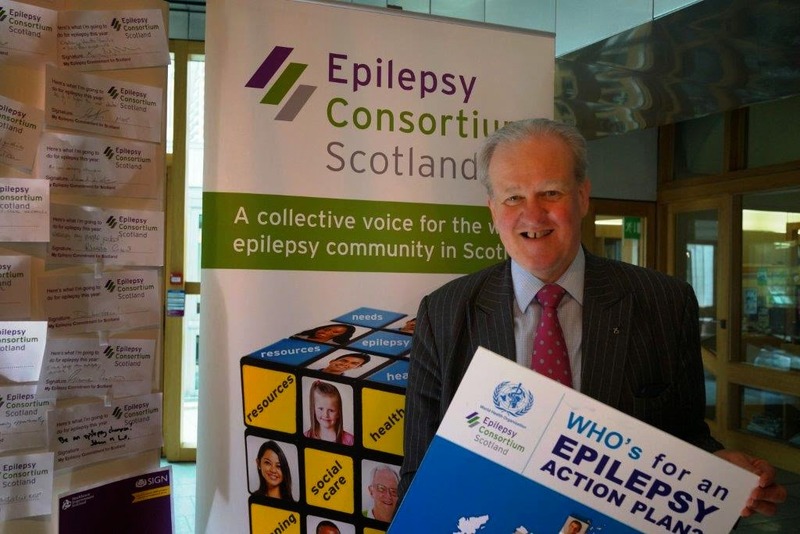 Mr Stevenson signed up to the World Health Organisation global resolution for national epilepsy action plans and vowed to wear a purple ribbon in the next year for the cause. Stewart Stevenson, SNP MSP for Banffshire & Buchan Coast, marked the 4th World Whisky Day 2015 in the Scottish Parliament this week. World Whisky Day took place on Saturday 16 May and will be celebrated on the third Saturday of May each year from now on. He mentioned the Immature Spirits (Restriction) Act 1915, that his father’s cousin James Stevenson took through the Westminster Parliament, which is responsible for whisky under three years old not being permitted to be sold – creating the quality in the industry today. Distilleries in Mr Stevenson’s constituency include Glenglassaugh, Knockdhu and Macduff. Stewart Stevenson, SNP MSP for Banffshire & Buchan Coast, is encouraging local property owners and businesses to give their views on plans to introduce water, drainage and sewerage charges for owners of empty business properties. Currently, owners of empty properties pay no water, sewerage or drainage charges, and the cost of service provision is met by other customers. The Scottish Government has launched a full consultation on the planned changes. “The Scottish Government appreciates that businesses - just like families - face a squeeze on their budgets and there is a drive to make sure that the costs of doing business are kept as low as possible. “It is also important to make the charging system fair for everyone where all business properties should pay for the water, sewerage and drainage services they receive. All those affected especially property owners and business customers who are currently covering the cost of exemptions, are encouraged to express their views. and is open from 18th May to 10th August. Stewart Stevenson, SNP MSP for Banffshire & Buchan Coast, has welcomed the announcement that £22,793 from Awards for All Scotland has been given to three groups in his constituency. Deskford and District Community Association have received a £2793 Awards for All grant, which they will use to insulate the roof of Deskford Community Centre. Macduff Primary School has been given a £10,000 Awards for All grant to enhance their grounds through the creation of an adventure play area that will be accessible to the whole community. Dales Park School has received a £10,000 Awards for All grant, which it will use to install a trim trail. “I am delighted that these excellent groups in my constituency have been chosen to benefit from Awards for All grants. Funding such as this makes the difference between having a good idea, and turning it into a reality. Across Scotland, 191 community groups are today sharing in National Lottery funding worth £1,232,220 from the Awards for All programme. Stewart Stevenson, SNP MSP for Banffshire & Buchan Coast, has called on the 101 Liberal Democrats in the House of Lords to consider resignation after their devastating defeat in the General Election last week. “Would it not be a democratic affront if any politician rejected by the electorate were to return to Westminster by appointment to the House of Lords? Stewart Stevenson, SNP MSP for Banffshire & Buchan Coast, has welcomed the Scottish Government’s announcement of a further £9m of funding to improve local A and E services. Health Secretary Shona Robison announced today (Wednesday) that the million pound package of investment will be allocated to health boards across the country from the Scottish Government’s Unscheduled Care Fund – including £705,101 in funding for NHS Grampian. “The SNP’s record on our health service is second to none and is delivering real results for Grampian – with both NHS funding and staff numbers at a record high. And today’s investment is a further example of the Scottish Government’s commitment to ensuring that the NHS continues to deliver the first class service that local people deserve. “While A and E services have faced challenges in recent months, we are now seeing real improvements – and today’s major investment for NHS Grampian is further welcome confirmation that improving local A and E performance is a top priority for the SNP." Stewart Stevenson, SNP MSP for Banffshire & Buchan Coast, has drawn attention to the thousands of migrants who die in the attempt to reach Europe every year. “The debate focuses on the mare nostrum rescue mission, which has been stopped, and its replacement. Amnesty has provided us with a graphic illustration of how our support has reduced. We used to have six helicopters - we now have one. We used to spend £9.5 million - we now spend less than £3 million. With support reducing and retreating further from Libya, there has been a huge increase in the number of casualties. Mr Stevenson quoted from an Amnesty International briefing which states that there are 3.9 million refugees registered in Syria’s neighbouring countries and in Egypt, with only 40,000 places offered by the EU since 2013. 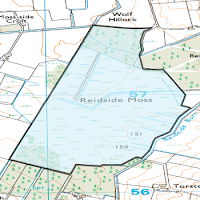 Stewart Stevenson, SNP MSP for Banffshire & Buchan Coast, drew attention to the importance of Reidside Moss in a Scottish Parliament debate on North-East mosses this week. “Being next to nature benefits human beings. It improves mental health, provides opportunities for physical exercise and gives us access to a wide range of wildlife. 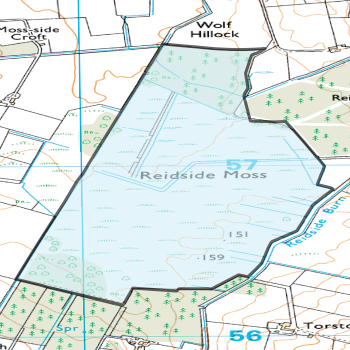 “I live 400m from Reidside moss, which is substantially bigger than either of the mosses described in the motion (Westhill and Portlethen), approaching 100 hectares. The wildlife which I experience is roe, foxes, weasels, rabbits and a wide range of bird life. Stewart Stevenson, SNP MSP for Banffshire & Buchan Coast, has highlighted the lack of help available for the deaf community in a debate on the British Sign Language (Scotland) Bill at the Scottish Parliament this week. “It is important that we consider that there is a category of people in our community with a particular language who have been significantly neglected, compared with others. “Ought we to see, as part of our future planning, a standardised sign that says ‘BSL spoken here’ so that people whose first and preferred language is BSL know where to go? It should be a very simple symbol, by the way, so that someone driving a car can see it in a glance. The letters ‘BSL’ might be good enough alone if they are in a standard format.